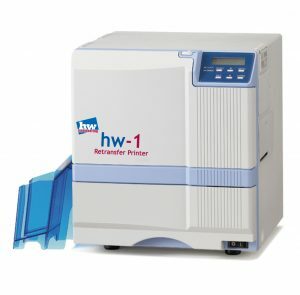 hw-1 Retransfer Printer is a printer based on the DNP/JVC CX 330. This printer is available in different versions for all kinds of encoding including Mifare, HID i-Class and others. A complete range of lamination units is also available.